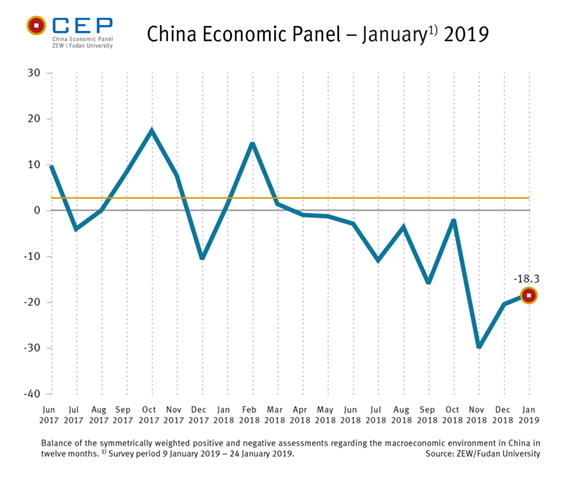 In the most recent survey for January (9–24 January 2019), expectations regarding the Chinese economy have risen by 2.2 points, to a new reading of minus 18.3 points (December 2018: minus 20.5 points). Despite the renewed increase, the indicator is still clearly in negative territory and remains well below the long-term average of 2.7 points. 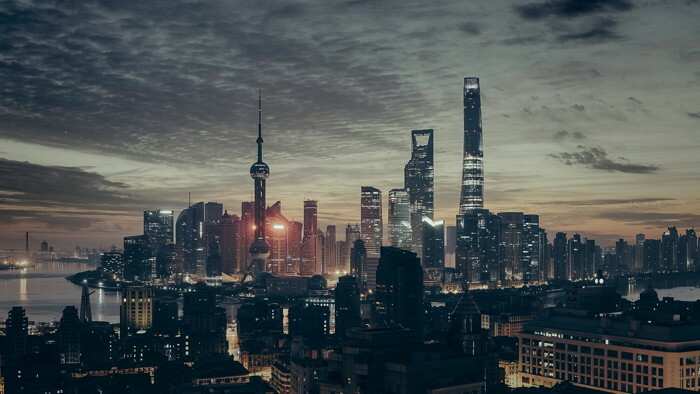 This sees the CEP Indicator, which reflects the expectations of international financial market experts regarding China’s macroeconomic development over the coming twelve months, pointing to a prolonged period of economic weakness. On top of this, the assessment of the current economic situation has also deteriorated. With the corresponding indicator falling to minus 4.6 points, a slight majority of respondents considers the economic situation in China to be rather negative. At 6.2 per cent, the point forecast for the Chinese real gross domestic product (GDP) has remained unchanged in the current survey compared to December 2018. Compared to last year’s real GDP growth of 6.6 per cent, however, 6.2 per cent growth would mean a further considerable decline. The experts even predict a decrease to 6.0 per cent for 2020. As the economic outlook deteriorates, inflation forecasts also fall. Over the next twelve months, the surveyed experts expect inflation to drop by 0.3 percentage points to merely 2.3 per cent compared with the forecasts from December 2018. “The survey participants assume that the Chinese government will take even stronger and more active policy measures to counter the negative growth trend,” explains Dr. Michael Schröder, senior researcher in the “Research Department “International Finance and Financial Management”at the ZEW – Leibniz Centre for European Economic Research in Mannheim and project leader of the CEP survey. The indicator for government spending has climbed by 18.5 points to a level of 21.4 points, with almost 62 per cent of the experts expecting this figure to increase further over the next twelve months. As a result, 52.4 per cent of the survey participants expect to see additional increase in domestic debt. The indicator for foreign debt has also recorded a rise in the current survey. The major reason for these bleak economic forecasts is the slowdown in foreign trade, which reflects the negative impact of the trade dispute between the US and China. “Conversely, if all parties were to reach an agreement in this trade dispute, the Chinese economy would experience a quick economic stimulus,” says Michael Schröder.